Baseball Dice is just what is sounds like--a game of baseball played with dice. 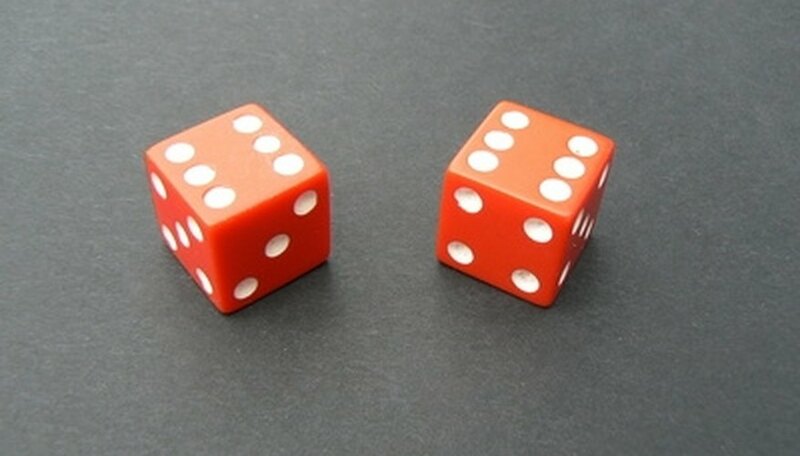 Baseball Dice is played with two players competing to score runs in a nine-inning game. Grab a pair of dice and a sheet of paper, and get ready to enjoy a game of baseball, no matter what your athletic ability. Get a piece of paper and draw a diagram of a baseball diamond on it. Leave some space on the piece of paper to keep score. Have a few small objects, such as coins or chess pawns, handy to represent baserunners. Roll to see who goes first. The player with the highest roll will be up to bat first. Determine the outcome each at-bat based on the roll of the dice. A roll of three or four is a strikeout, five or six is a ground out, six is an error, seven or eight is a fly out, nine is a single, ten is a double, eleven is a triple, and two and twelve is a home run. Use your markers and your baseball diamond diagram to keep track of play for nine innings, three outs per player per inning. When a player gets a hit with runners on base, the runners should advance the number of bases the hitter advanced. Tally up the number of runs after nine innings. The player with the most is the winner. If play is tied after nine innings, you can play extra innings to determine a winner, just like regular baseball. Add an extra scoring element by using rolls of double twos and double fours to constitute bases on balls.